This is a charity jazz concert to help support General Incorporated Association Borderless Art Laboratory, featuring “AJC featuring Jesse van Ruller and Francien van Tuinen”. Hope everyone that comes out to support this event will have a fun night with great Jazz. In support of “General Incorporated Association Borderless Art Laboratory”. 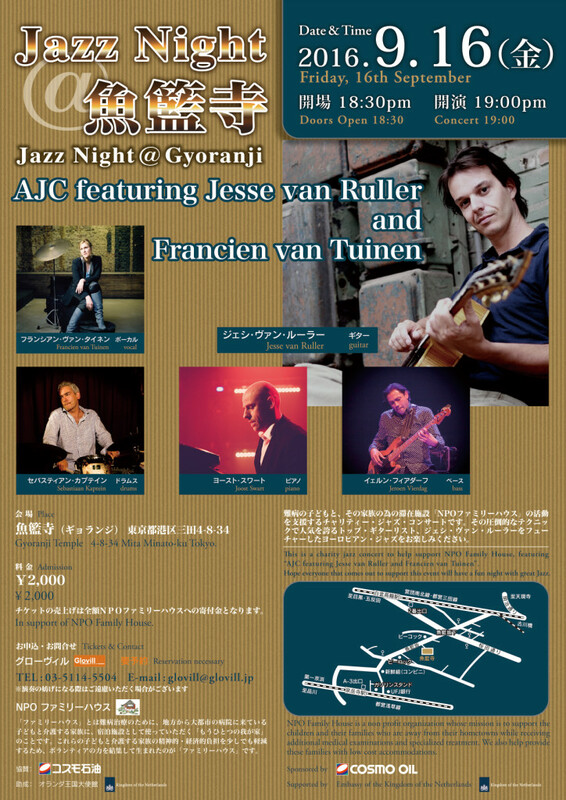 This is a charity jazz concert to help support NPO Family House, featuring “AJC featuring Jesse van Ruller and Francien van Tuinen”. Hope everyone that comes out to support this event will have a fun night with great Jazz. Place:　Gyoranji(魚籃寺) 4-8-34 Mita Minato-ku Tokyo. Place:Gyoranji(魚籃寺) 4-8-34 Mita Minato-ku Tokyo. Sponsored by　COSMO OIL CO., LTD. 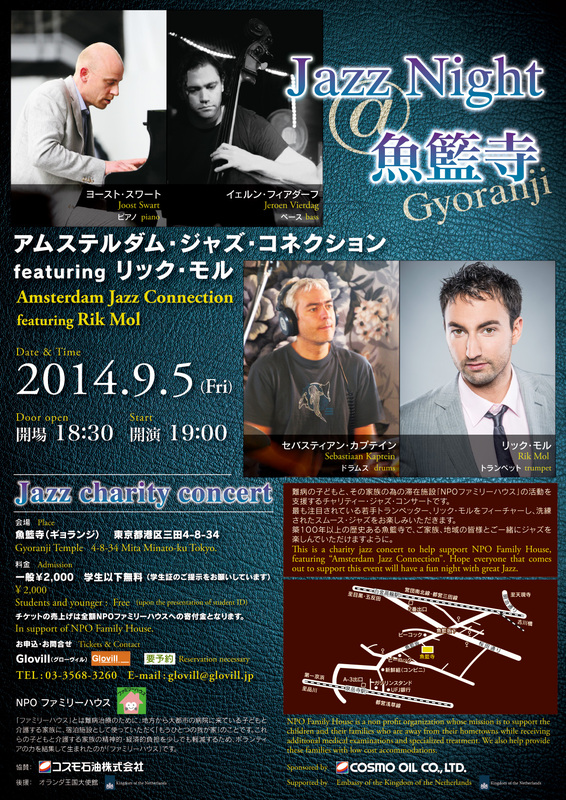 This is a charity jazz concert to help support NPO Family House, featuring “Amsterdam Jazz Connection”. Hope everyone that comes out to support this event will have a fun night with great Jazz. Jasper van Hulten　(drums)This is a charity jazz concert to help support NPO Family House, featuring “Gatecrash”. Hope everyone that comes out to support this event will have a fun night with great Jazz.NPO Family House is a non profit organization whose mission is to support the children and their families who are away from their hometowns while receiving additional medical examinations and specialized treatment. We also help provide these families with low cost accommodations. upported by COSMO OIL CO., LTD. 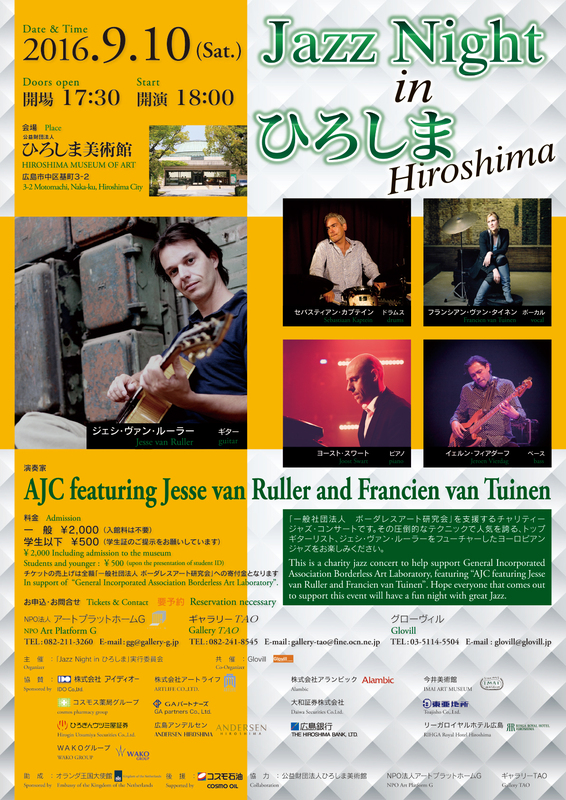 This is a charity jazz concert to help support NPO Family House, featuring “Jan van Duikeren Quartet”. We wish our audience a great evening of Jazz music. 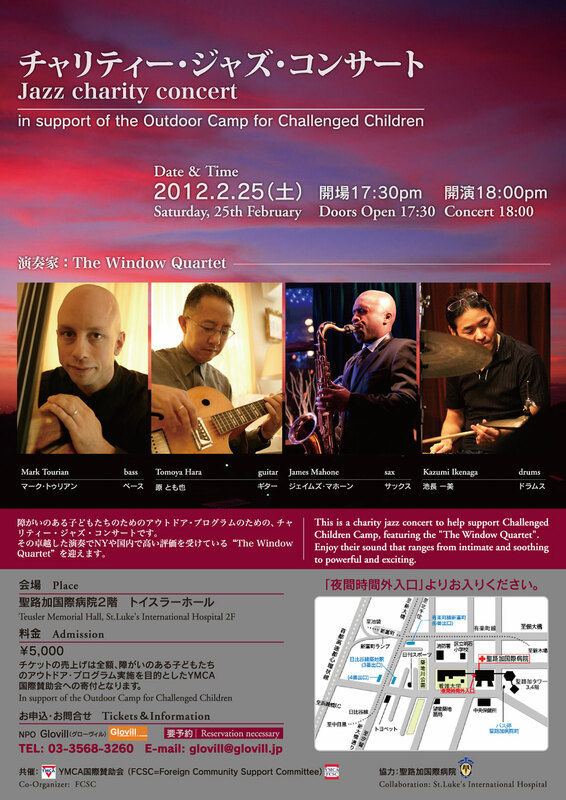 This is a charity jazz concert to help support Challenged Children Camp, featuring the “The Window Quartet”. 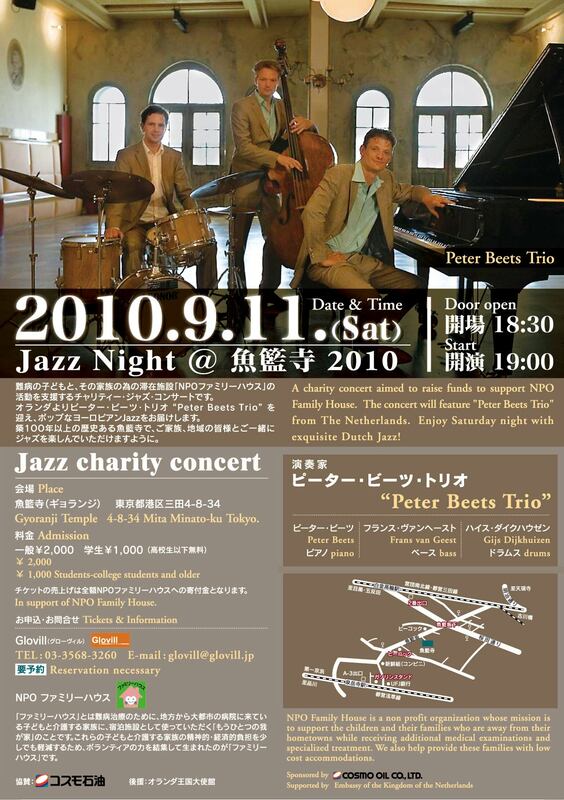 The concert will feature “Peter Beets Trio” from The Netherlands. 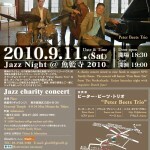 Ａ Jazz charity concert event which helps raise money to support NPO Family House. Supported by:COSMO OIL CO., LTD. The internationally recognized quality of the arrangements and their ensemble playing have brought Calefax everywhere in Europe, both to stages for new music and to renowned early music festivals. With its striking and natural performance, the ensemble is a popular and respected guest at festivals in Europe and the United States. With the receipt of the Philip Morris Art Prize (1997), the Kersjes van de Groenekan Prize (2001) and the VSCD Classical Music Award (2005), the quintet has been awarded with three of the highest Dutch music prizes. In recent years, Calefax collaborated with both groups (the Orlando Consort, Mad Cows Sing, Audible Lifestream, Zapp String Quartet) and with a variety of soloists, such as pianist Ivo Janssen, singers Helena Rasker (alto) and Cora Burggraaf (mezzo-soprano) as well as jazz singers Denise Jannah and Astrid Seriese.NPO Family House is a non profit organization whose mission is to support the children and their families who are away from their hometowns while receiving additional medical examinations and specialized treatment. We also help provide these families with low cost accommodations. As a part of the event “Media Week 2006: IRCAM Workshop and Concert in Japan,” Shobi University is proud to present a special lecture by IRCAM team from Paris. They will show us their latest researches in music technologies and how they can be applied to musical creations. Admission is all free of charge and no need to make a reservation. Please join us for an exciting session with world’s most advanced researchers of computer music! For the first time in Japan we have invited the IRCAM, Institut de Recherche et Coordination Acoustique/Musique, research team from France, to hold several IRCAM software workshops, and at the same time to hold a concert performance by members of the IRCAM’s global performers Ensemble Inter Contemporain. It will be held on from 7th to 10th December in Tokyo. ymposium’s panelists:Christophe Martin de Montagu, Yan Maresz, Shintaro Imai and possible additional panelists yet to be determined. Glovill organized a concert to present a New York-based new music group, the New York New Music Ensemble (NYNME). It was the official Japanese debut of this renowned ensemble from the United States.The five pieces for the program were chosen by NYNME: Kreiger, Carter, and Druckman representing the main stream of American new music scene; Conti, a Japanese-American composer who spent his boyhood in Japan; and Dr. Kojima, one of the executive directors of Glovill, who composed the piece while she was studying in the doctoral program at Columbia University.Each piece was written for different instrumentation. NYNME carefully selected a variety of pieces, each chosen for a specific: a sextet, a sextet plus electronic music, a sextet with the percussionist playing only vibraphone, a woodwind duo, and a piano trio. NYNME’s highly acclaimed musicianship and virtuosic technique was greatly appreciated by the audience listening to an entire concert by all contemporary music. Carter’s pieces, in particular, are sometimes under appreciated in Japan because of different musical tastes. This time, however, we received extensive positive feedback from Japanese musicians, with many saying such things as, “It was my first time to listen to Carter’s music with such an interest.”The scores of all the pieces were exhibited in the lobby of the concert hall. There were many people who picked them up and took a close look at the music by themselves. It was very nice to notice that Glovill’s unique presentation of new music has come to be well appreciated by the audience.Given that the concert was specialized in contemporary music, it was thought that there might be some difficulty attracting a large general audience. In fact, there turned out to be a big audience to fill up the hall, and indeed the latecomers were actually having difficulties finding seats.For the first time for Glovill, we had an open rehearsal and a pre- concert talk prior to the opening of the concert. To our surprise, there were many people, mostly students, at the rehearsal. They were very interested in listening to the dialogue between the director, the performers, and the composers. The pre-concert discussion was even more crowded, with many people coming to listen to the exchanges between the guest composer Mr. Conti, who knows the American music scene in New York very well, and Ms. Matsui, who is one of the best known young Japanese art critics specializing in the modern arts. We had much good feedback from the audience that, especially because of the presence of professor Matsui, they could for the first time appreciate this music from a new and unique point of view.The audience was quite diverse, including students, housewives, and businessmen. Glovill’s unique network once again was successful in bringing a wide variety of people to experience the contemporary classical music scene. In fact, we had many people to inquire about becoming members of Glovill. These included not only all musicians, but also a business man, a medical doctor, and other out side of the music field. It was our great pleasure to discover that Glovill’s mission is gradually accepted in the society.We were fortunate that the members of NYNME, Ms. Matsui, and Mr. Conti all understood the concept behind the concert and the challenging program that was organized by Glovill, and worked diligently to accomplish these aims, despite the confines of limited time and a tight schedule. 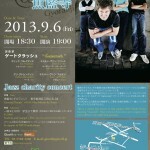 Additionally, we received great support from all the volunteers who have cooperated with Glovill since last year.Finally, we would like to report on the open master class for college students that were held the day before the concert at the Music Hall of Shobi University, on Kamifukuoka Campus in Kawagoe City. The proposal was made at very short notice, but the professors of composition and music media courses were very eager to bring NYNME to the campus and worked very hard to realize the plan in a short period of time. Because of logistical reasons, there were only a few to notify the students about the event. However, when Dr. Kojima, who is also a Professor of composition at Shobi, delivered the hundreds of fliers to other professors and lecturers, and they in turn notified their students and told them to attend this rare event on campus. As a result, the Music Hall of 250 seats was fully packed, comprised of both students and teachers of a small university. Many of the students were majoring in performing arts, which despite this, had not yet had many opportunities to experience with contemporary classical music. It was truly impressive to see them listening to the performance and the talk with such enthusiasm.Many of the students from Shobi University came to the main concert the next day. These kinds of master classes and open rehearsals are common in the US and European countries, but unfortunately they are not commonly done in Japan. Thus, Glovill considers these as important strategies to employ for the goal having a wider audience enjoy and appreciate this form of music.Around the world, there are many first rate performers and ensembles that have not yet been exposed to a Japanese audience due to the fact that there is no organization in Japan that can arrange and promote such performers on an unprofitable basis. Glovill believes it is one of our most important missions to accept their proposals and help them. We are determined to serve society by providing them chances to present their quality music made with high spirit, hoping to become a real bridge between different cultures.September 2003 – Review of Contemporary-Jazz DriveCONTEMPORARY-JAZZ DRIVE was held on 5th August by co-starring players who truly represent the future of both American (Allen Farnham, Scott Wendholt) and Japaneese (Makoto Oka, Tsutomu Kojima, Hiroshi Yoshino) jazz musicians.As there are few existing works that employ jazz elements in contemporary classical music, the seven compositions presented were all newly revised or world premiere works commissioned by NPO Glovill. 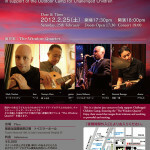 The program for the CONTEMPORARY-JAZZ DRIVE concert was established by Jazz musicians Allen Farnham, Scott Wendholt, Tsutomu Kojima and classical composers Naoshi Kukiyama, Yuriko Kojima, Kaori Nabeshima and Haruna Miyake. All have achieved great acclaim in their respective fields.Each classical music composer’s unique treatment of Jazz appeared in the works and held the audience spellbound. 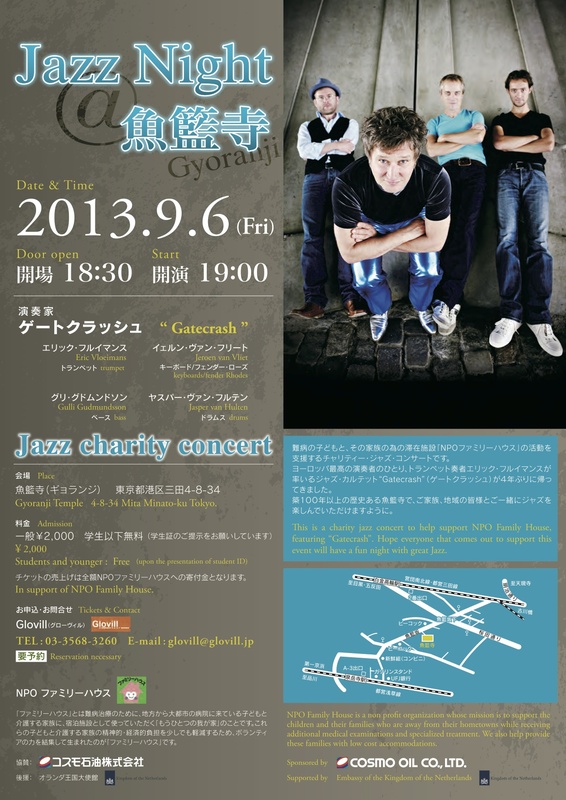 A contemporary classical music concert that is performed by all Jazz musicians is virtually unheard of in Japan. The challenging writing and the blending of two distinct musical genres won the praise of many critics and professionals.Scores and sketches of compositions from the program were being displayed in the hall lobby, and the audience exchanged their questions and impressions with the composers. We believe that it helps to promote the face-to-face intellectual exchange of information and the building of collaborative relationships between professionals, students, and scholars throughout the field.The Tokyo Opera City Recital Hall was filled to capacity leaving room for the many standees. It is very noteworthy that CONTEMPORARY-JAZZ DRIVE attracted a great many audience members who are not music experts. Glovill is very proud as its mission is to contribute to the promotion of contemporary classical music to the general public as well as music specialists.Number of those present: 286August 2003CONTEMPORARY-JAZZ DRIVE concert is scheduled for August 5, 2003 at the Tokyo Opera City Recital Hall. Aiming at creating new unique style through employing jazz elements in contemporary classical music, Glovill has commissioned new/revised pieces from internationally renowned and respected classical music composers and jazz musicians such as Haruna Miyake, Naoshi Kukiyama, Yuriko Hase Kojima, Kaori Nabeshima (classical composers), Makoto Oka (saxophone), Tsutomu Kojima (drums), and Hiroshi Yoshino (bass). 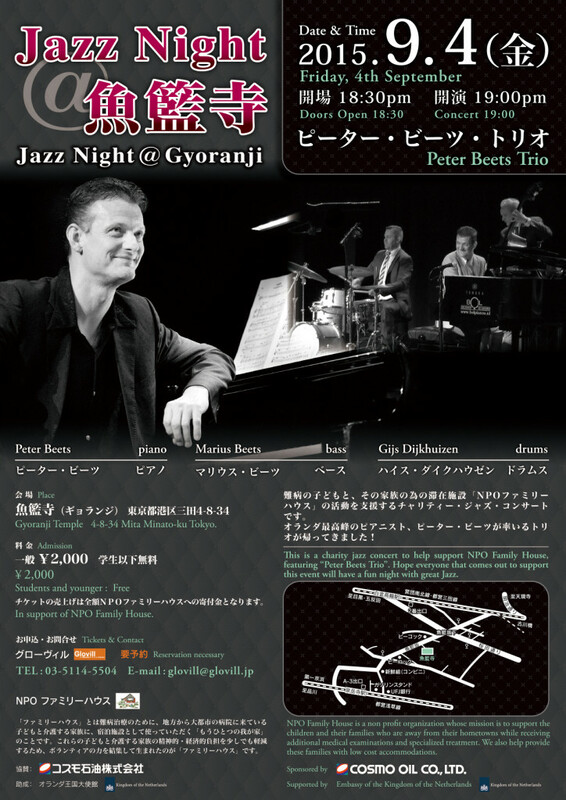 Two jazz musicians, Allen Farnham (piano) and Scott Wendholt (trumpet) are invited from New York, the world center of jazz, to participate in this “cultural and national bridge” project.2003The Japan Association of Classical Music Presenters (JACMP) and NEC Corporation (NEC) introduce Japan’s classical music artists to the world and support and promote their activities by enhancing their international awareness. And they established “NEC Navigates Japan’s Classical Music Artists” http://japansclassic.com/ to promote greater international awareness of these artists using the Internet and to help expand their opportunities to perform on a worldwide scale.We are very happy to report that Glovill and our projects have been featured at “NEC Navigates Japan’s Classical Music Artists”May 2003 – ReviewNPO Glovill kicked off its first season — Lecture and Concert in Tokyo, 2003Dedicated to promoting contemporary classical music in Japan and New York, NPO (non-profit organization) Glovill kicked off its first year with two exciting projects to introduce to the public the unique styles and advanced methods of contemporary classical music and jazz.The first event, LECTURE CONCERT: JAZZ INFLUENCES ON CONTEMPORARY CLASSICAL MUSIC, was held on May 28, 2003 at The Sapporo Beer Museum recital hall in Ebisu, Tokyo. Two acclaimed music professors from Columbia University, Drs. Jonathan Kramer (composer/ music theorist) and Deborah Bradley (pianist) were invited to discuss how Jazz music has developed in close relation to classical music. Mr. Mark J. Davidson from the Cultural and Programming Office of the American Embassy, whose support made this event possible, first gave a special remark. The played/ performed pieces included “Pine Apple Rag” composed by Scott Joplin, “L’Histoire du soldat” by Igor Stravinsky, and “Whirled Piece” by Jonathan Kramer.While major U.S. universities like Columbia and Harvard make jazz music theory and performance classes part of their classical music courses, Jazz has rarely been heard in a classical music setting in Japan. Since Professor Kramer’s approach was so new to the Japanese audience, many questions were asked to the Professors at the post-concert reception. The virtuosity in the piano performance by Dr. Bradley and Yoshiko Tamai, a guest pianist, greatly impressed the audience as well. The very noteworthy is that the lecture concert attracted a great many audience members who are not music experts. Glovill is very proud, as its mission is to contribute to promoting contemporary classical music to the general public as well as the music specialists.About us and MissionRecognizing a need for increased support for contemporary classical music composition and appreciation both domestic and cross-cultural in Japan, Glovill was founded by a group of professional musicians and educators as a non-profit organization in May 2002. Our mission is to serve the underserved, to contribute to the spread of the contemporary classical music, and promote talents related to contemporary classical music.Glovill’s mission is to:1. Serve the underserved.2. Contribute to the spread of the contemporary classical music.3. Promote talents related to contemporary classical music. The Peärls Before Swïne Experience (PBSE) is one of the most exciting additions to the contemporary classical music scene. PBSE has since their inception in 1995 become one of Scandinavia’s most artistically and popularly successful ensembles for new classical music. The common denominator for all PBSE’s works is that they are short, between 3-6 minutes on average. The primary reason for their insistence on short pieces is that it allows for a concert form that associates to more popular forms of music without sacrificing the artistic integrity of the composers. Internationally renowned classical Swedish and Japanese composers, Folke Rabe, Kim Hedås,Christoffer Elgh, Sachiyo Turumi, Hiroyuki Yamamoto, Haruka Saito and Yuriko Kojima in association with Glovill and the will establish the program for the Peärls Before Swïne Experience’ concerts.